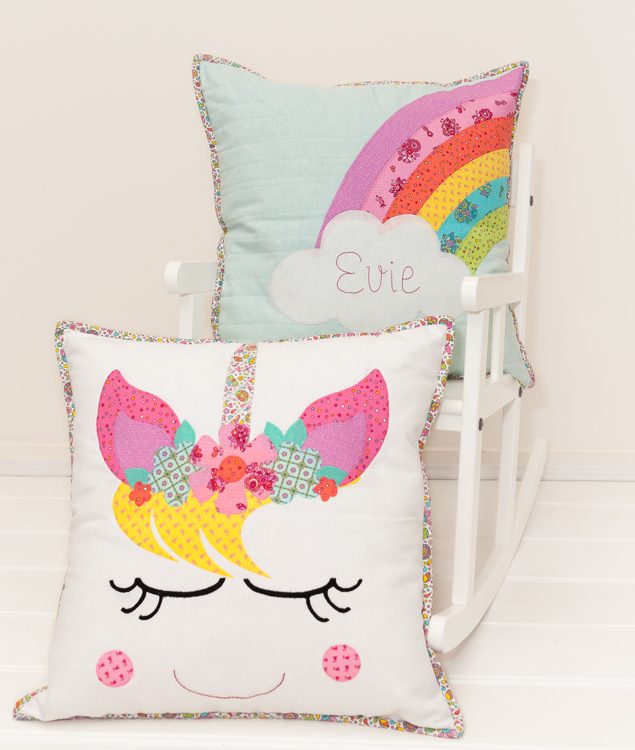 Unicorns and Rainbows bring that special touch of magic to our lives - and especially for children (or certainly bigger kids) these Pillows will delight. 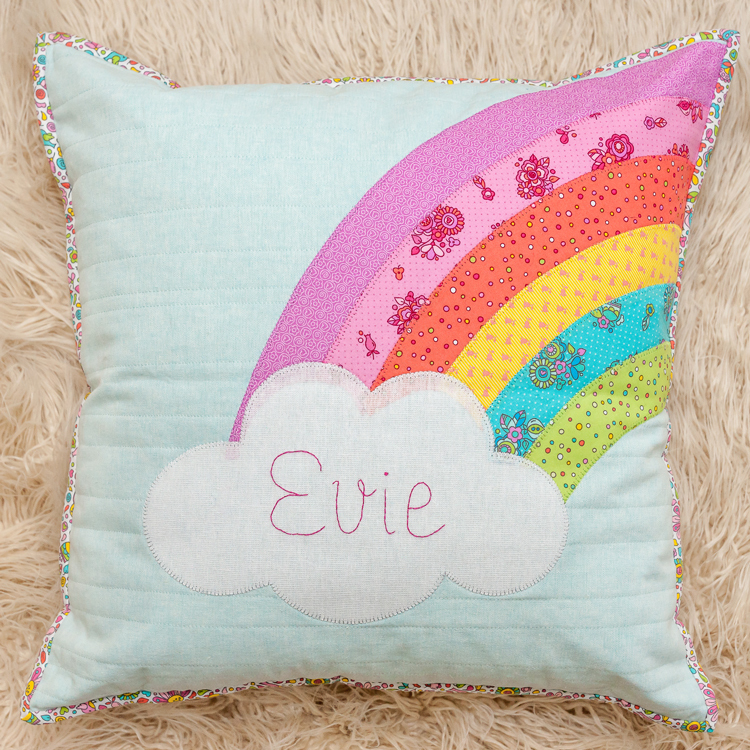 You can choose which ever Appliqué method is your favourite to make these Pillows whether you love to machine Appliqué or sew by hand. 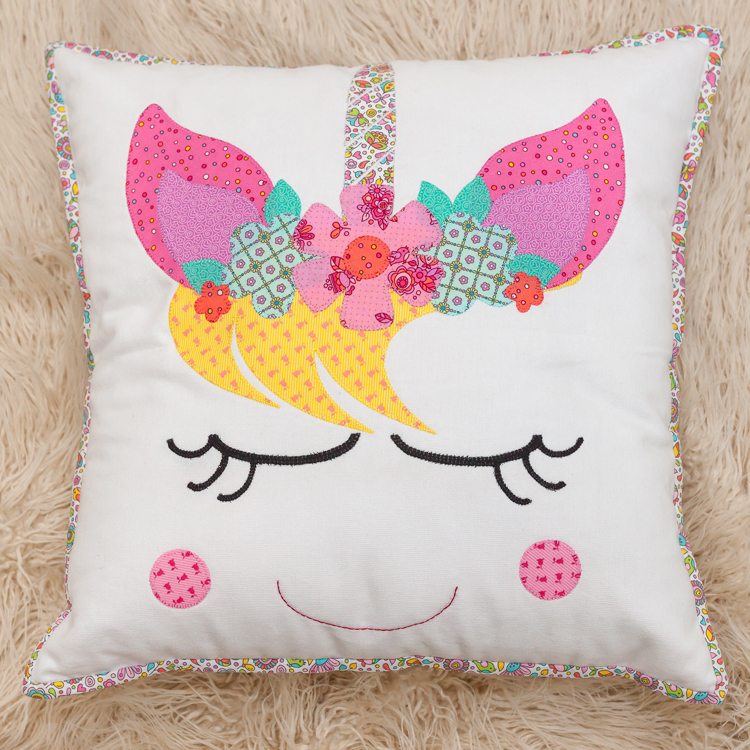 This is a fun and sweet Pillow set to add to a bedroom or chair. Sprinkle around some Unicorn Magic.